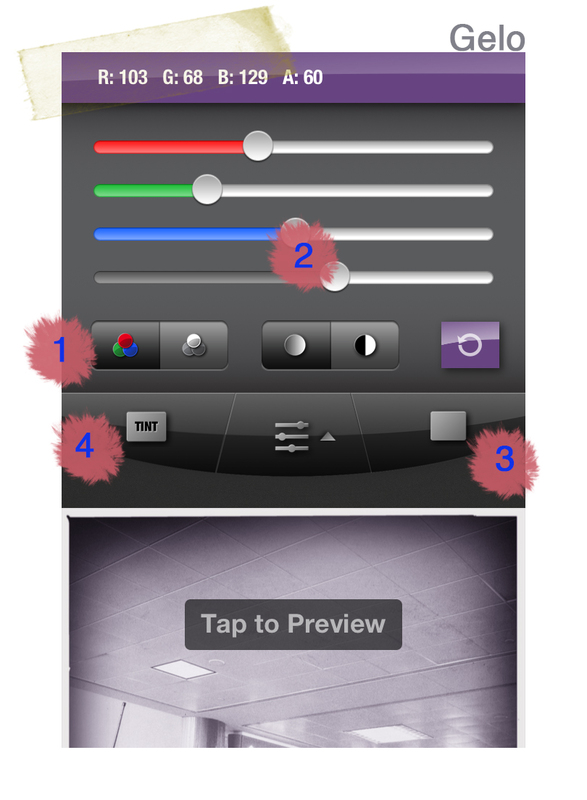 Yesterday I posted my first attempt at making an iPhoneography tutorial and I thought I would try another one. These two (yesterday’s and the one I am about to post) are relatively simple. The focus of this image is the girl eating. 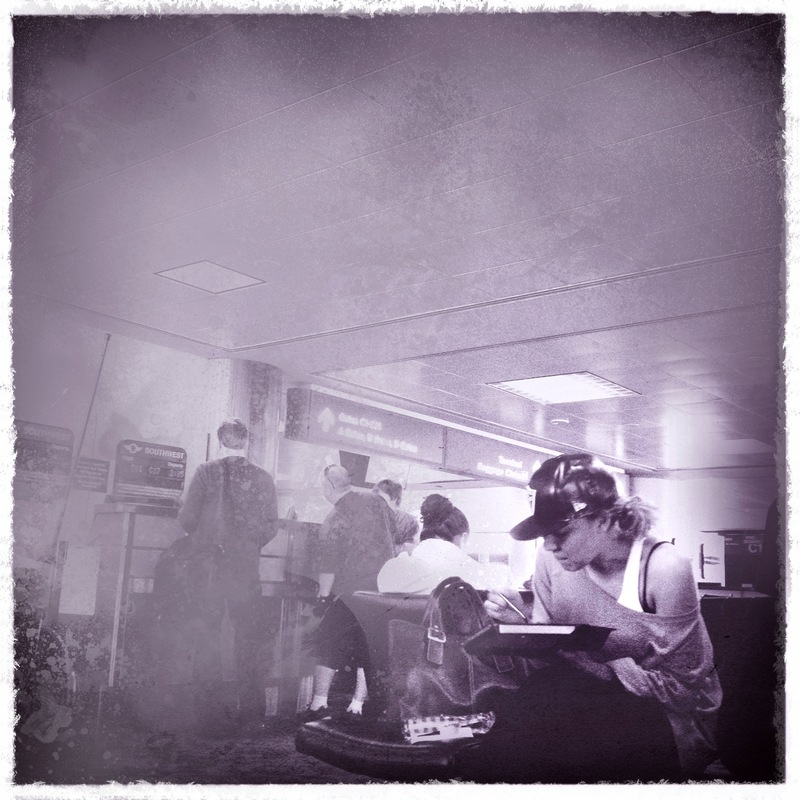 It may not be the most obviously interesting subject, but I like to watch people, especially at public places like the airport. The idea here was to draw out the subject and let the background fade away. 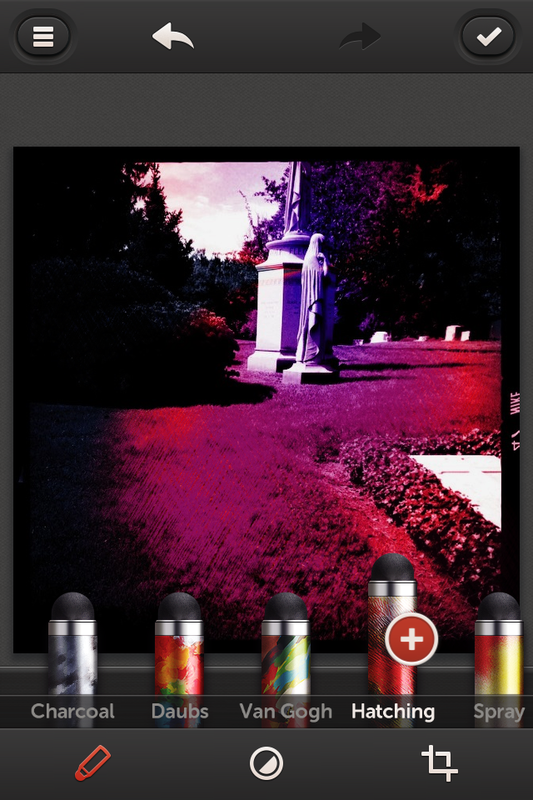 I opened the photo is Gelo, which is a fun app for adding color gel like effects to your pictures. I picked out a darker purple shade. 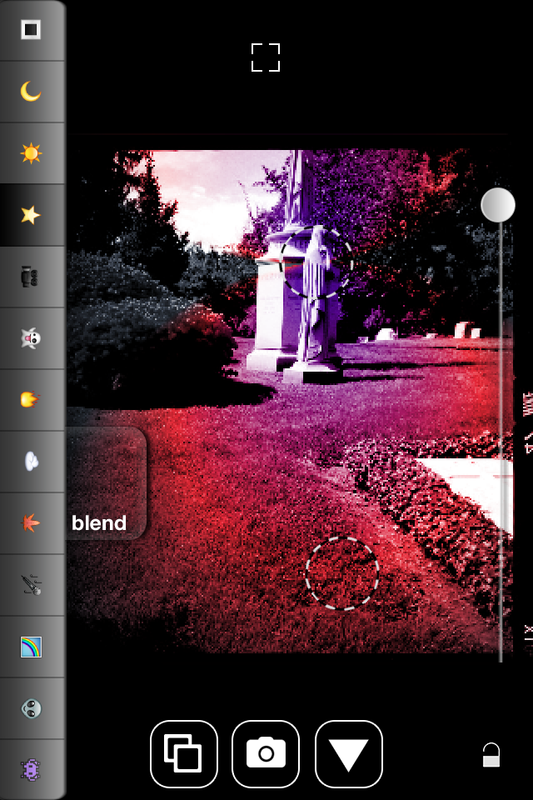 The little button here lets you select keeping your photo in color or changing it to black and white. My photo was already in black and white. I moved the opacity down to about 55-60%. This changes your type of overlay, from all over, to gradient, to a colored shape. There are three options: TINT, ADD, & OVER. After Gelo, I opened it in Snapseed to perform a selective adjust on the subject, increasing the contrast and saturation. Next I used Repix to blend out the background people more. I used the stains brush + and colored over the people in the background. The last step was opening it in Laminar and throwing the White Grunge Border on the photo since it’s original Hipstamatic border was “damaged” during the “staining’ process. If you liked this let me know. I’ve really been meaning to do this for a long time, I guess I am finally bored enough with web surfing to post it. I am trying to get myself back into shooting and editing and creating content for the world to read. This blog has quite literally fallen off the face of the Earth. My Earth anyway. I haven’t got the time or the patience or the inspiration to blog random stuff that I think only I’m into. 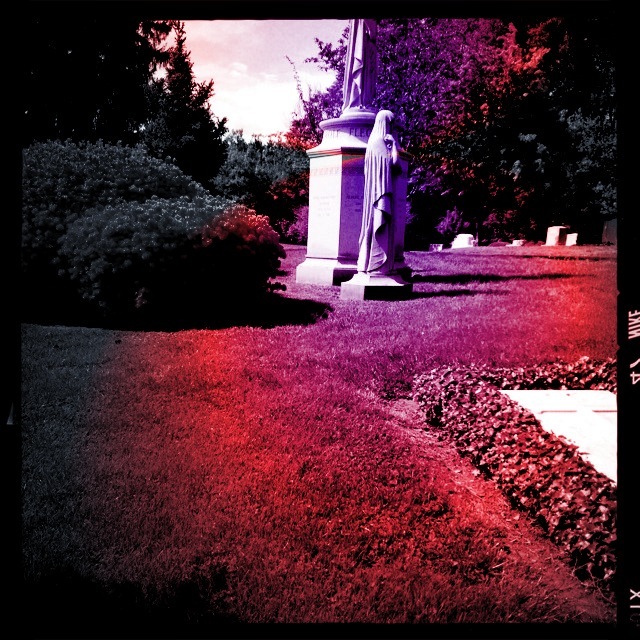 This is the original photo taken at Cave Hill Cemetery in Louisville, Kentucky. While I shot a bunch of pictures from out the car window, unfortunately I couldn’t get out and get closer, since I was with other people who just wanted to drive around. The film I used is Nike AO BW and I can’t tell you the lens unfortunately because i deleted all of the Hipsta Prints in the app trying to make room on my phone. Sh*tty circumstance for having only 16 GB. The first step is opening the photo in the app Satur8, a cool new (to me) app from the creator of Decim8. 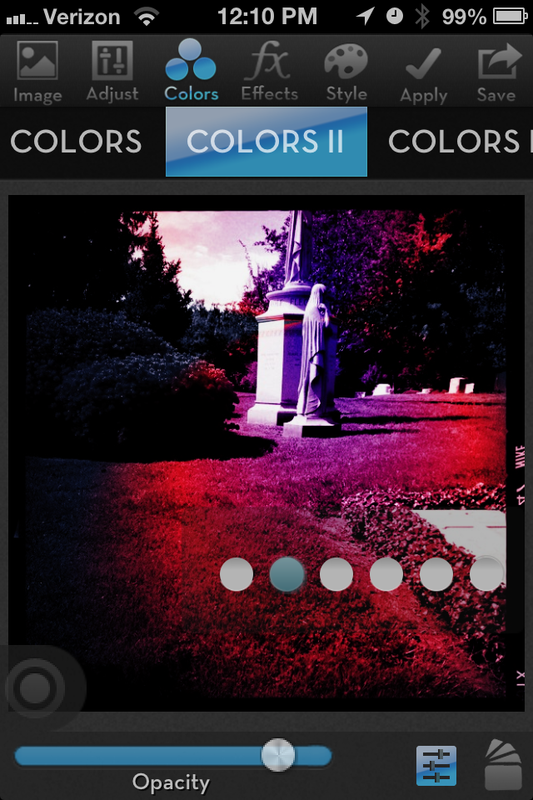 This app lets you play around with various color schemes and gradients. I can’t really explain how this app works aside from picking a color scheme, a shape, and a blending mode and moving the color dots around until you like what you see. I have only gotten to mess with it a handful of times. 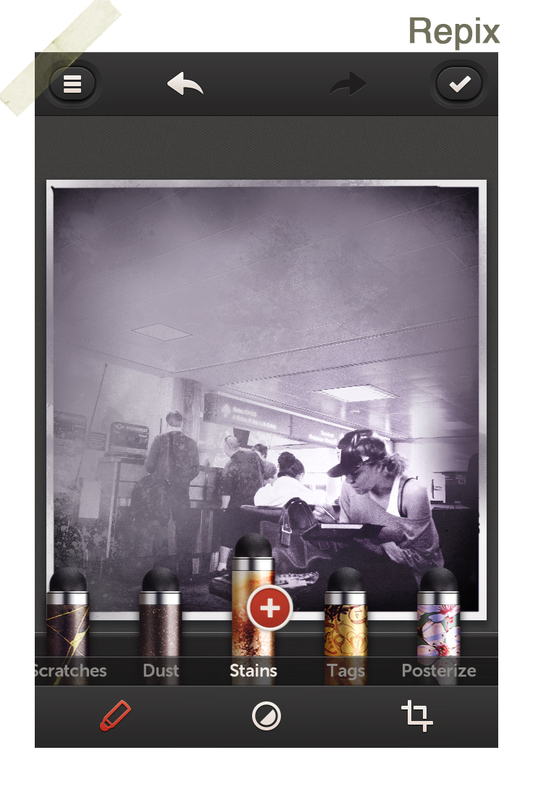 Next I went to iColorama S, which is an app chock full of cool effects to throw around and layer. I went into Colors – Colors II – picked filter 20/30 – picked the second dot – and slid the opacity down just a tad. I liked how it darkened the side of it making the focus the more on the statue itself. Next I used the Repix app to hatch out the grass and plants around the edges. I used the Hatching brush on the “Plus” side. I think I might try to do more of these, showing the editing process behind various photos. I know when I first started out with mobil editing, I scoured the Internet and Instagram looking for all the tips and clues I could get and figured out the rest. You can see all of my edits on my Instagram @bethanie_m. If you liked it and would like to see more, please feel free to leave a comment.